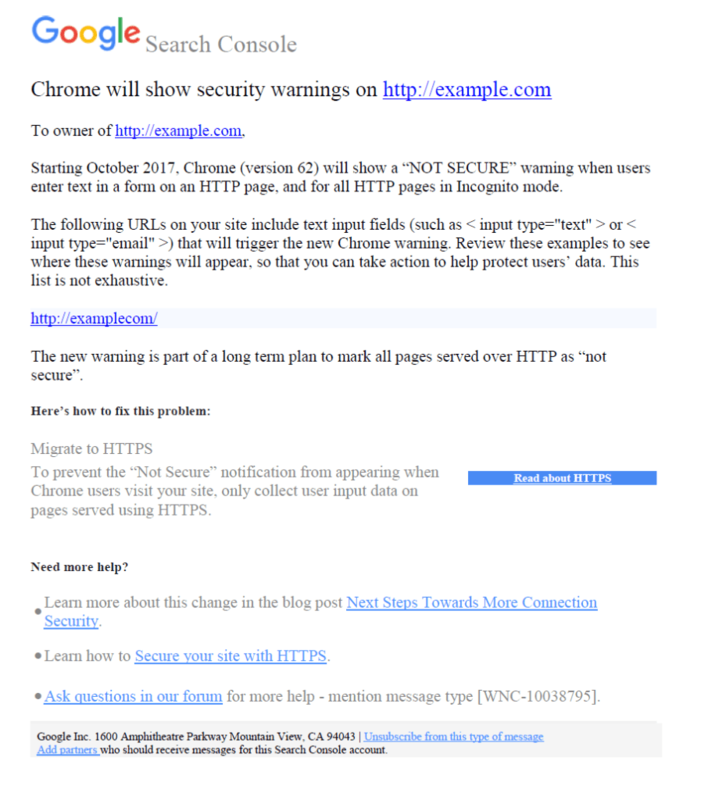 Starting October 2017, Chrome (version 62) will show a “NOT SECURE” warning when users enter text in a form on an HTTP page, and for all HTTP pages in Incognito mode. Most industry experts suspect that this is Google’s first step in this process and that, in time, all pages of all websites not protected by an SSL Certificate will show a “NOT SECURE” message. What’s more is that it is predicted that most other browsers (IE, Edge, Firefox, Safari) will eventually follow Chrome’s lead in the name of security. 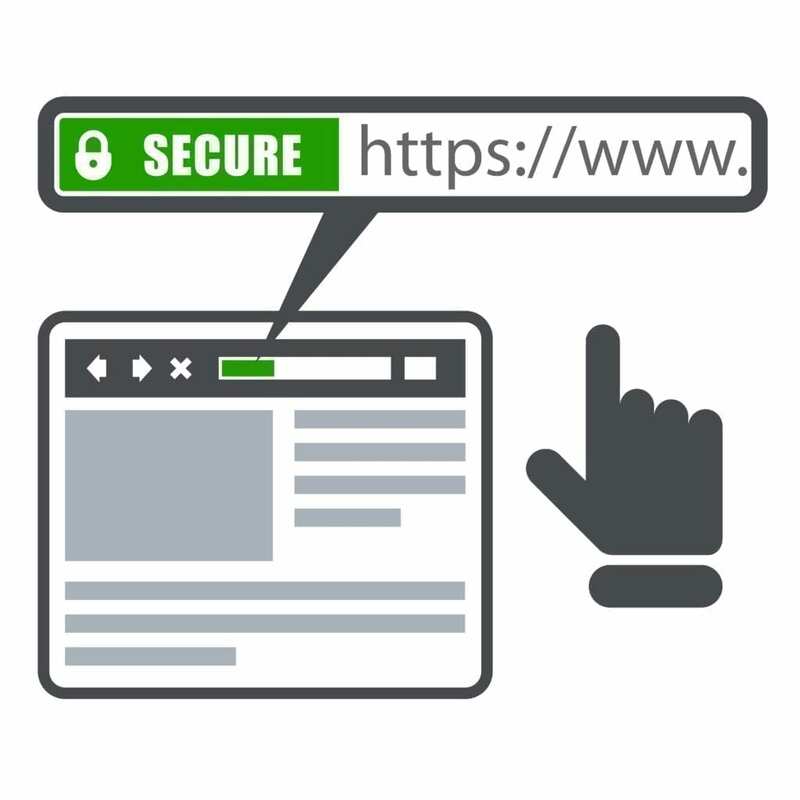 An SSL Certificate is used to create an encrypted connection between the server that hosts your website and the web browser on a customer’s computer. Traditionally, SSL Certificates were required if money or sensitive info was being transacted or transmitted through a website. Encryption of this information provides for safe passage from one computer to another. Nowadays, with all of the security threats out there, the thought from industry leaders like Google is: Why not simply encrypt everything? It is fair to assume that sooner or later, that doing nothing will no longer be an option for website owners. Simply put, your existing customers and users will become confused or frustrated, and potential customers will move on to websites that do not generate warning messages. What is UNIFEYED doing about it? UNIFEYED is offering the following one-time offer for clients to save money on long term SSL Certificate and Domain renewals. If you plan on keeping your website for years to come, don’t wait for site traffic to drop due to browser warnings. Call UNIFEYED today at 484-947-2800, or login to your Client Portal to take advantage of this one time offer.